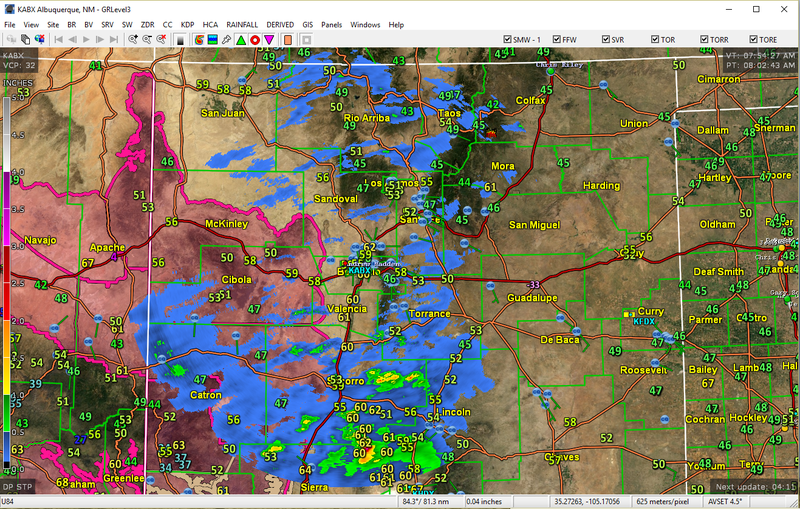 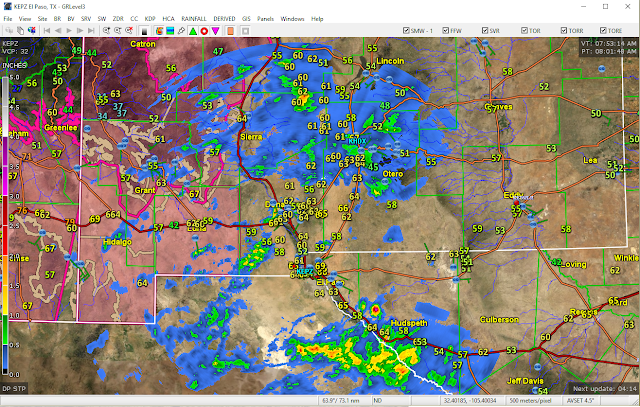 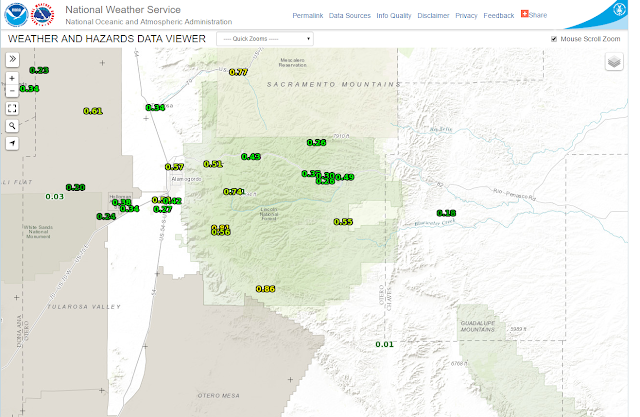 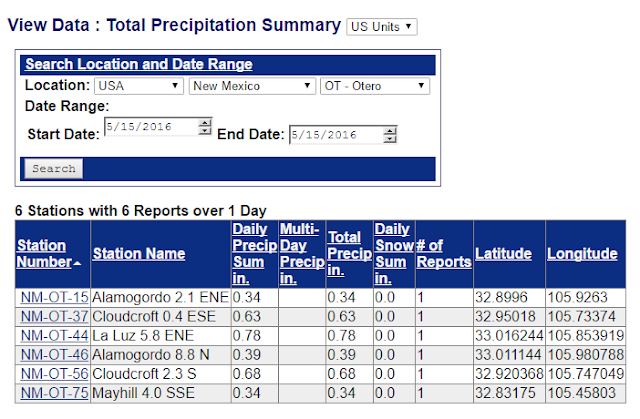 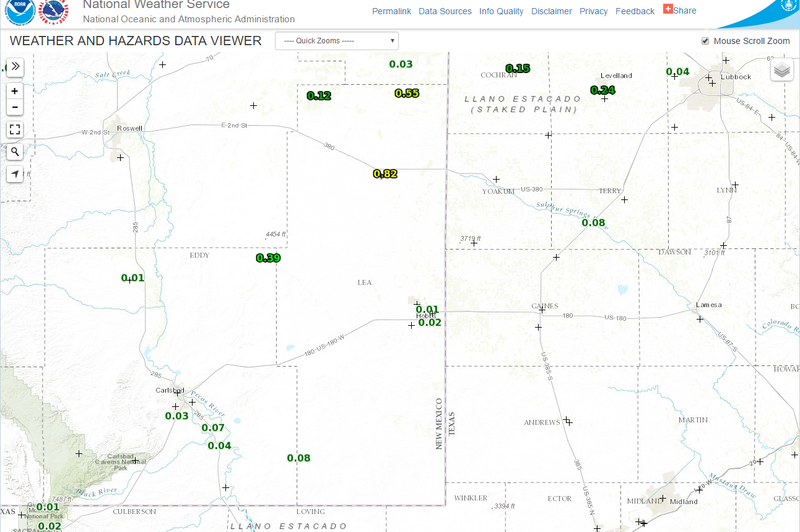 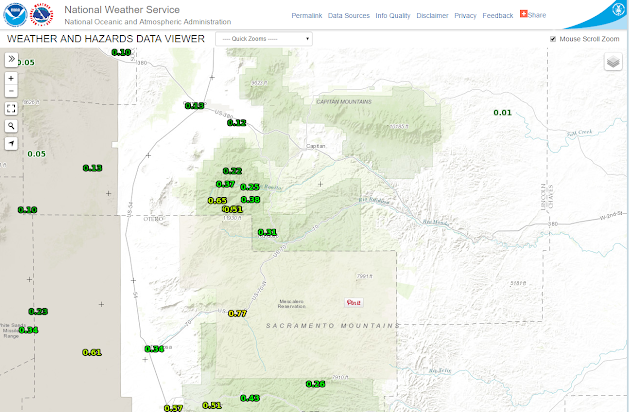 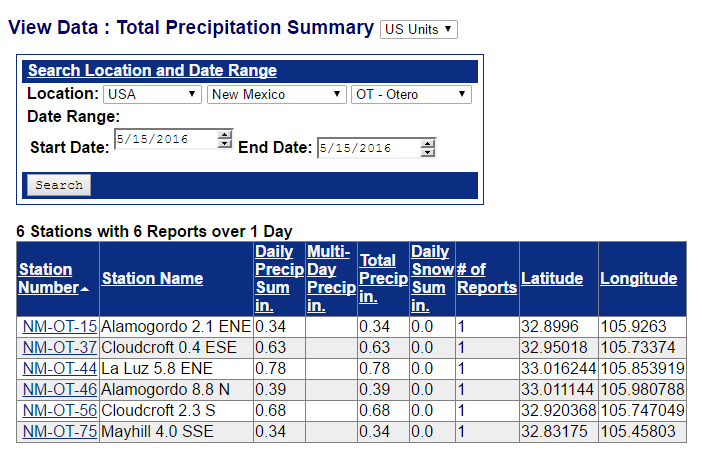 A Look At Our 24-Hour Rainfall Totals - Severe T-Storms Possible Today In SE NM & W TX. 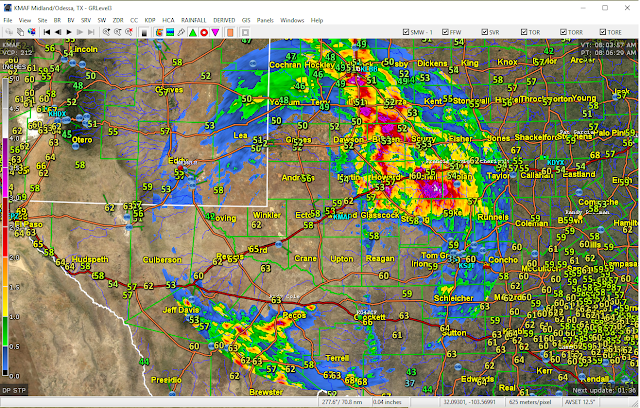 Blog Updated @ 9:54 AM MDT This Morning. 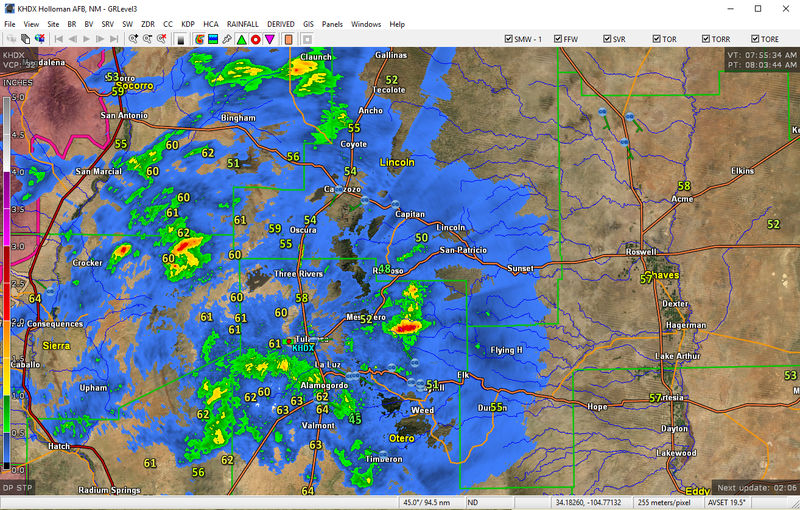 Courtesy Of WeatherBell Analytics LLC. 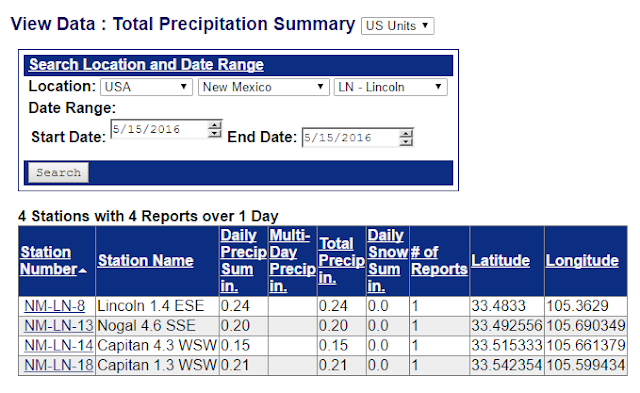 As Of 7:45 AM MDT This Morning. 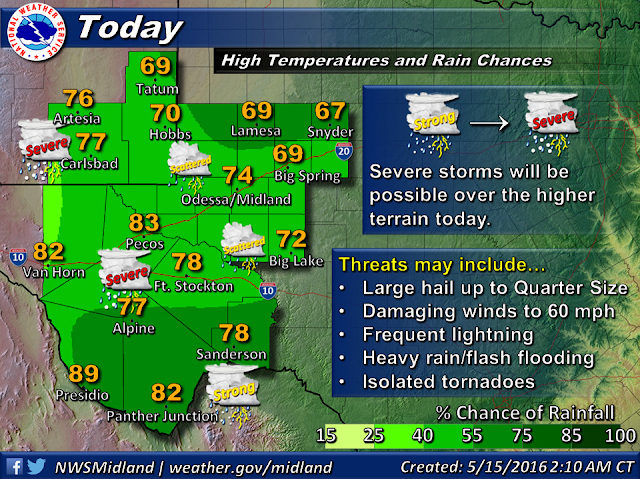 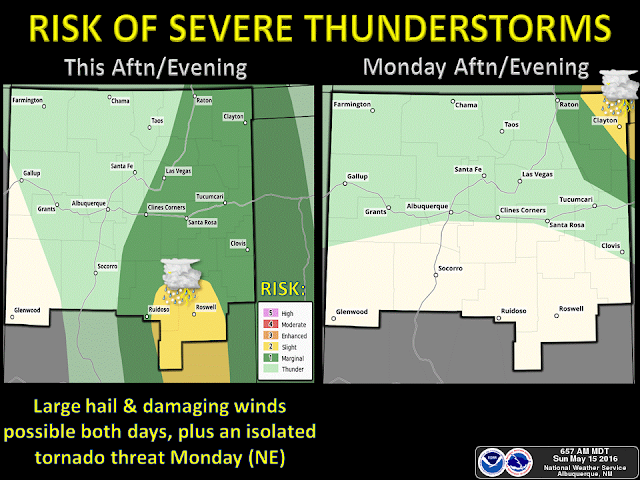 NWS Midland Severe Weather Outlook Today. 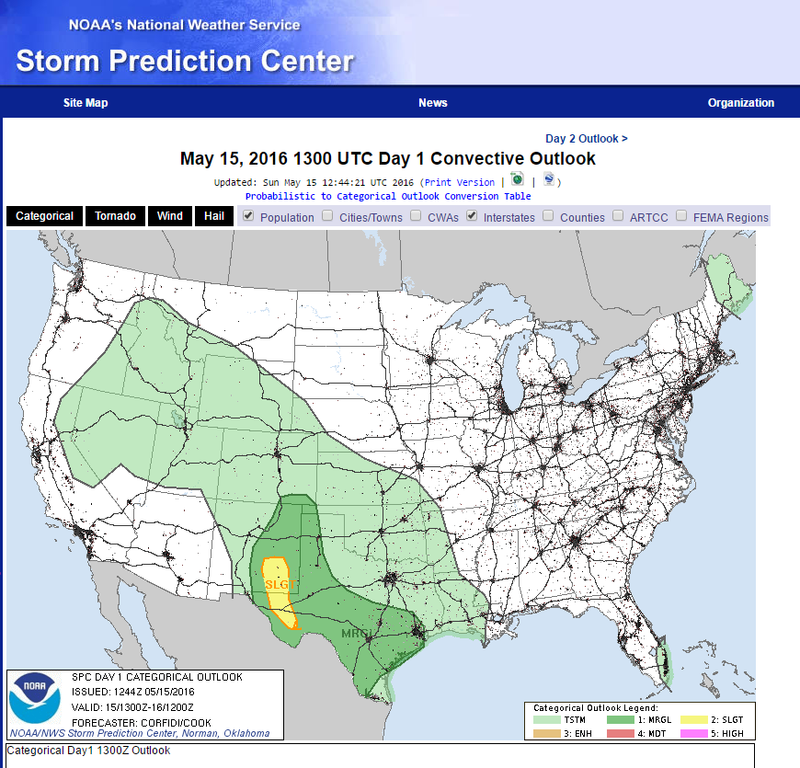 NWS Albuquerque Severe Weather Outlook Today. 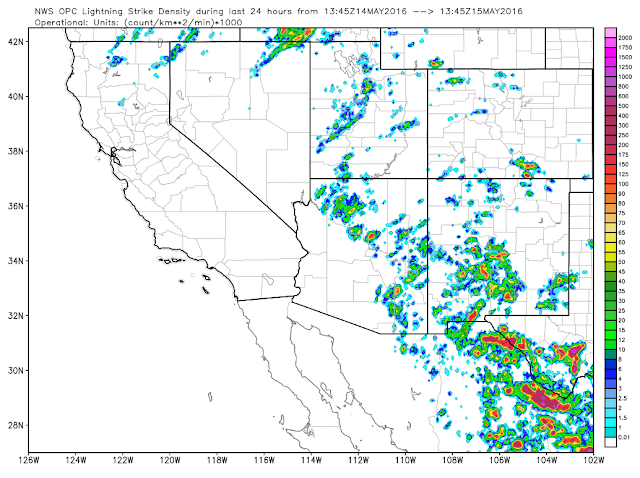 Scattered to numerous thunderstorms are forecast to fire up later today across southeastern New Mexico and parts of West Texas. 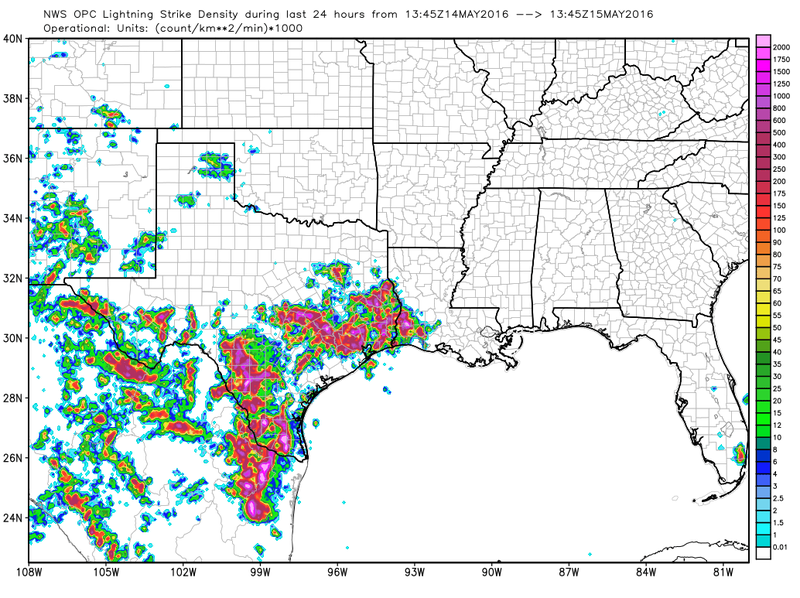 Some of these thunderstorms may be of the Supercell type and produce large hail (quarter size or larger), damaging thunderstorm wind gusts in excess of 60 mph, frequent deadly cloud to ground lightning, and locally heavy rainfall that could produce localized flash flooding. 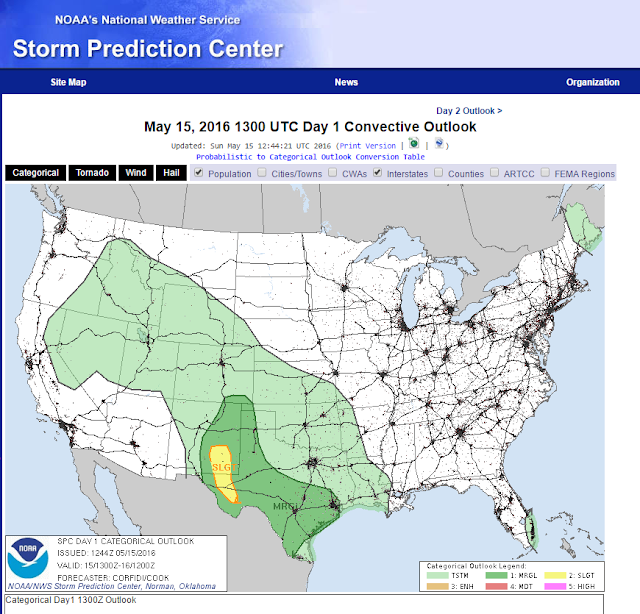 An isolated tornado or two cannot be ruled out as well. 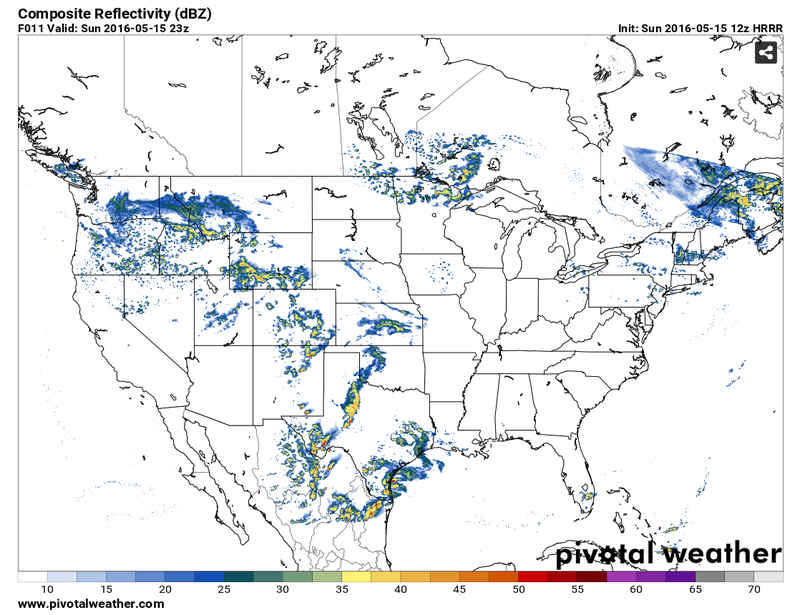 HRRR Severe Weather Forecast This Afternoon. 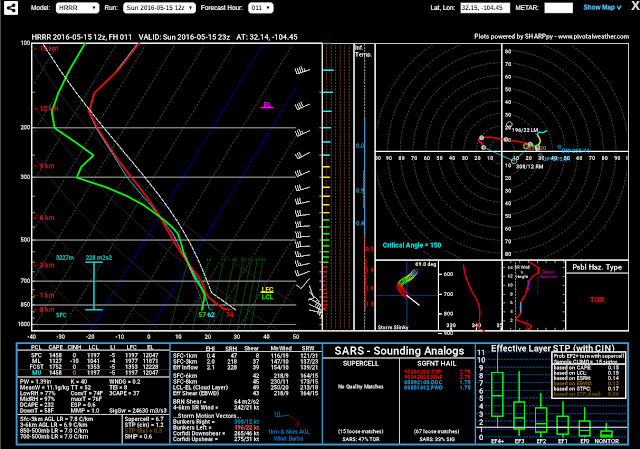 Forecast Sounding @ 5 PM MDT. 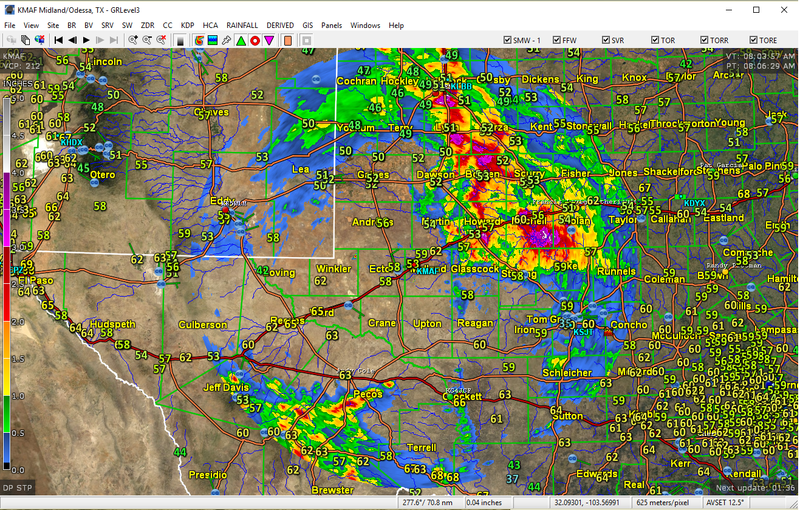 Valid @ 5 PM MDT. 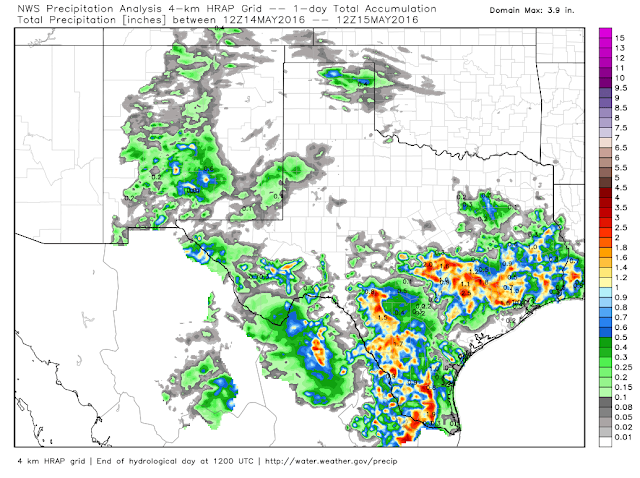 Interesting forecast from the HRRR model this morning (issued @12Z). Enough turning and instability to produce a couple of right moving (southeast bound) supercell thunderstorms by around 4-6 PM MDT across Eddy County in southeastern New Mexico. 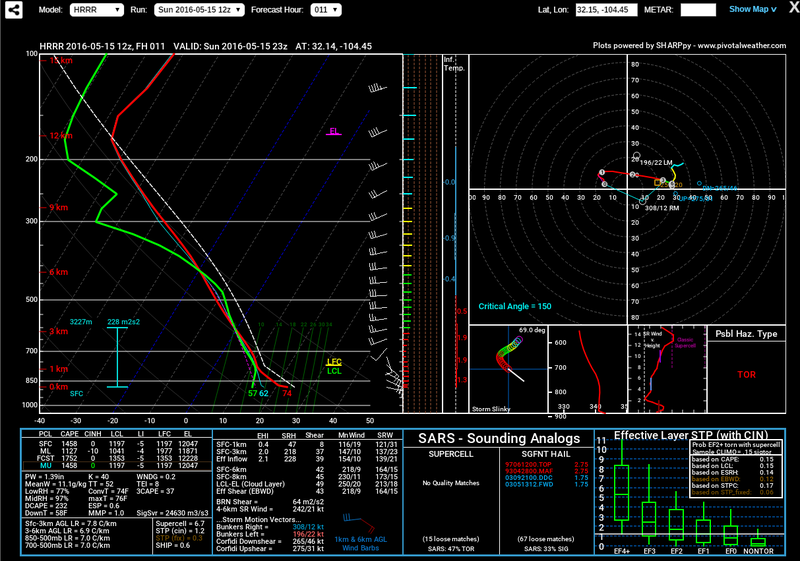 Enough shear appears available to produce an isolated tornado or two also. So my target chase area will be the areas west of Artesia and Carlsbad this afternoon.